A gastronomic theme park designed as a celebration of Italy's field-to-fork food culture opens next week with backers aiming to pull in six million visitors a year. 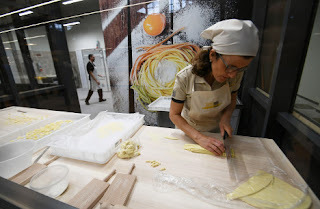 Dubbed a 'Disneyland for foodies' and billed as the biggest venture of its kind in the world, FICO Eataly World is located on the outskirts of Bologna. Spread over ten hectares (25 acres), the park, which will operate as a conference venue as well as a tourist attraction, will be run by a partnership of Eataly and Italian retail group Coop. "Education is fundamental to the whole thing. But it is also about having fun, eating, shopping," Farinetti told AFP in an interview ahead of Wednesday's opening. Asked if that target is realistic, Farinetti responds with a broad smile. "No, it's utopian, but every project I have been involved with has been utopian. The whole world is realistic, I prefer utopia. I don't know if we will make it but we'll give it our all. "You can buy half a kilo of pasta, some extra virgin olive oil and San Marzano tomatoes and go home and make what you had. And it is very digestible and light." 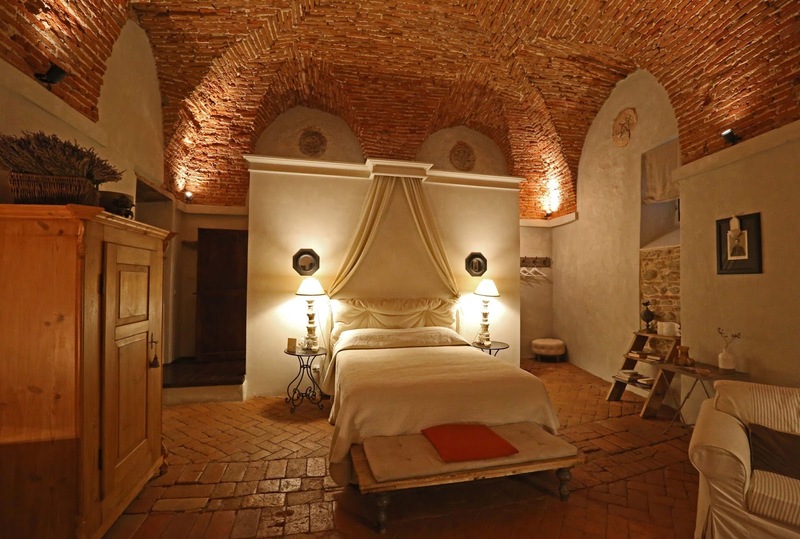 Among those backing Farinetti's vision is Antonio Capaldo, owner of the Feudi San Gregorio wine company and one of dozens of entrepreneurs involved in the project. 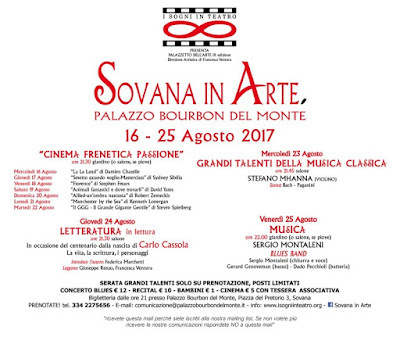 It's all going on at Monte Santa Maria Tiberina! Brad Pitt, a giggle, giants, singing and dancing, a bit of crying, magical beasts (and where to find them), literature, classical music and blues. Something for everyone! Monte Santa Maria Tiberina is a hilltop village that was once an independent state, one of two places in Europe where duels were legal. 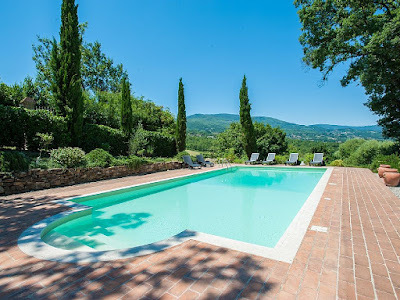 Located in the Upper Tiber Valley it has Etruscan roots but a Medieval heart, with narrow streets, historic stone buildings and a panoramic position with unparalleled views of the surrounding area. 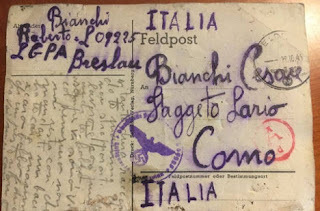 Close to the border of Umbria and Tuscany it was part of the latter right up until 1927. 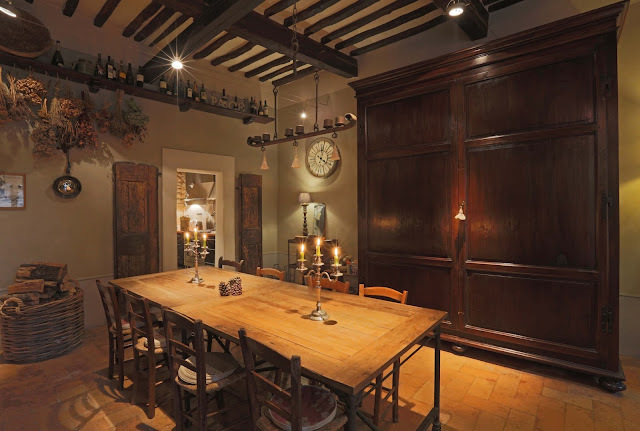 It therefore enjoys the cultural and gastronomic pleasures of both regions, with truffles, porcini mushrooms, excellent olive oil, fantastic wines, and traditionally-made cheeses and salamis. In the next couple of weeks there is quite a lot going on. From the 16th of August there is a week of films starting at 9.30pm. Shown in the gardens the titles include 'la la land', an Italian comedy called (in English) 'I can quit whenever I want', the Stephen Frears’ film about Florence Foster Jenkins, 'Fantastic beasts and where to find them' (the Harry Potter prequel so to speak), 'Allied', a Romantic thriller with Brad Pitt, the multi nominated 'Manchester by the Sea' and Spielberg's BFG. 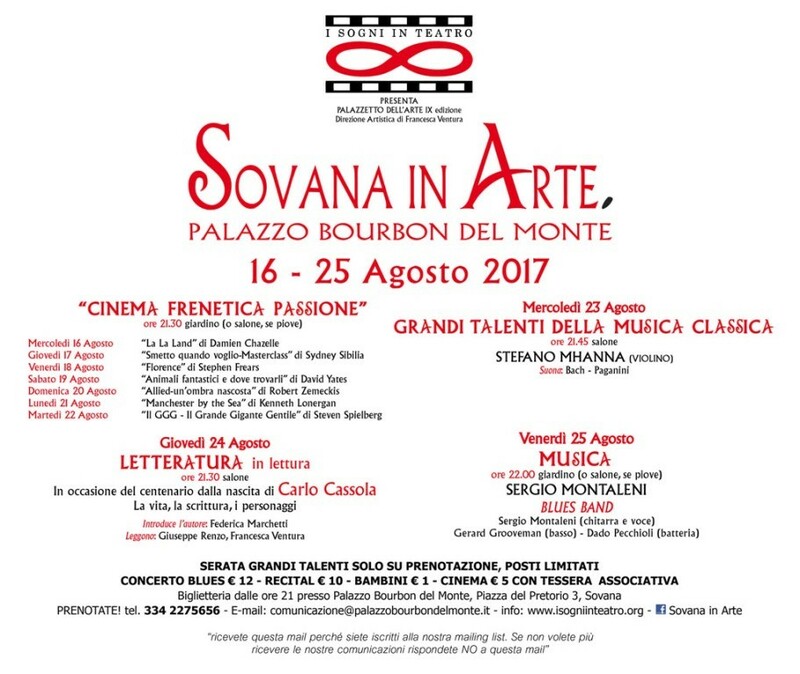 There is also music on the 23rd and 25th; classical violin and blues respectively with the evening in between dedicated to the writer Carlo Cassola, an influential Italian novelist and essayist. There's quite a choice and something to suit all tastes! Monte Santa Maria is well worth a visit anyway. The Bourbon palace, built in the 1500’s, dominates this tiny village along with a crenelated castle. The pretty church is dedicated, as the name of the village suggests, to the virgin Mary, and has an interesting baptismal stone font and a Bourbon family chapel. The procession of the Ascension, re-enacted for centuries on the 15th of August, honours the virgin Mary, the protectress of the village. There are several food festivals throughout the year, dedicated to the area's primary products of mushrooms, truffles, chestnuts, and roast pork. The presidential couple were guests of former US ambassador to Italy John Phillips at his luxury resort Borgo Finocchieto. They have been delighting in the historical treasures of Siena and Montalcino. 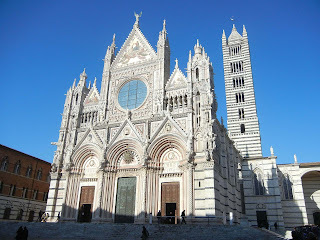 In Siena they visited the magnificent Cathedral and were accompanied by the Mayor. 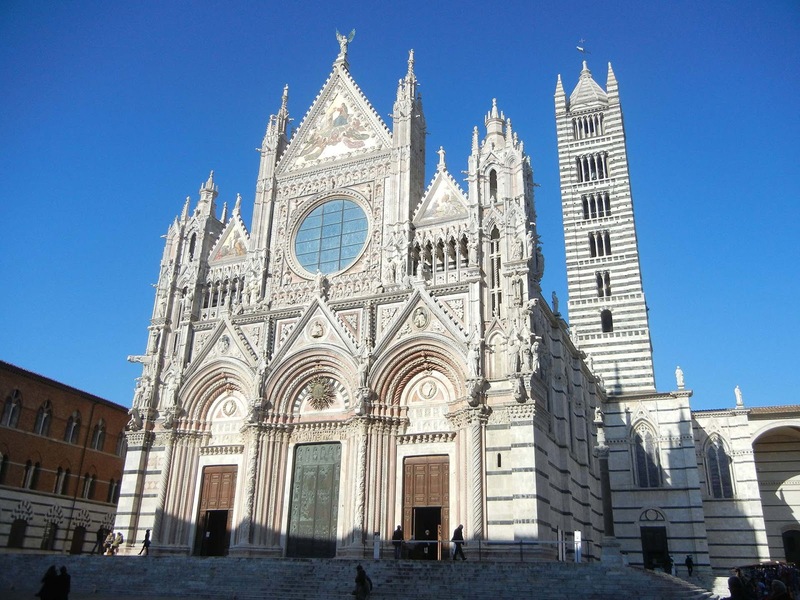 The Cathedral is one of Italy's most illustrious Romanesque and Gothic cathedrals. Entering the Cathedral means not only experiencing spiritual elevation but also opening up to beauty and exploring one of the city's most valuable art treasures according to its website http://operaduomo.siena.it/en/sites/cathedral/ According to tradition, the present Cathedral replaces an earlier church dedicated to the Virgin Mary erected in the 9th century or thereabouts on the site of a temple serving the cult of Minerva. 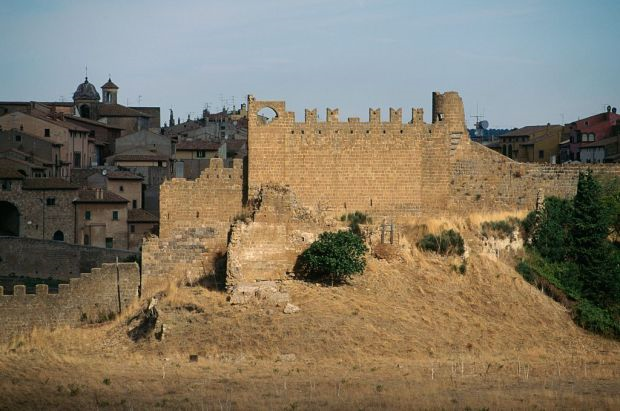 Equally unconfirmed rumour suggests that the building was consecrated in 1179 in the presence of Sienese Pope Alexander III Bandinelli after the papacy had made peace with the Emperor Frederick Barbarossa. The Cathedral contains numerous masterpieces from every age but its marble mosaic inlay and graffito floor is in many ways its most prized possession. 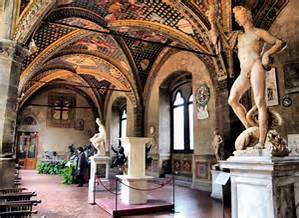 Giorgio Vasari certainly considered it the "most beautiful..., largest and most magnificent floor ever made". The current President and his entourage have been at the Vatican meeting Pope Francis and will be heading back to Italy to attend the G7 summit in Sicily on Friday. Colin Firth has applied for Italian Citizenship as according to his spokesperson “Colin was horrified by Brexit and is worried about the consequences”. 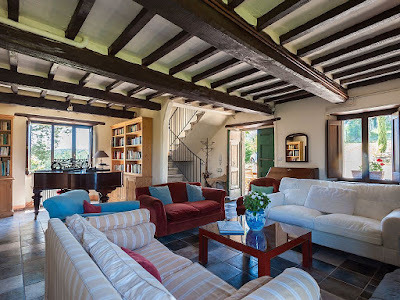 He already owns a home in Umbria. The 2017 Italian Finance Bill has introduced an attractive tax regime for persons wishing to become tax residents in Italy. It is aimed at high net worth individuals and their relatives. The new law introduces a remittance-style tax regime and provides that the non-domiciled applicant for Italian residency status may opt for a new flat rate annual tax of €100,000 (€25,000 for each of the taxpayer’s accompanying relatives) that will shield all worldwide income and gains from further taxation in Italy. The new system is available to all persons, regardless of their nationality or domicile, who have been non-tax resident in Italy during nine of the ten years preceding their relocation to Italy. The successful applicants will also be entitled to a Schengen visa for themselves and their resident family members. The regime is a viable alternative to the similar schemes proposed by the UK, Portugal, Cyprus Malta and Switzerland. (ii) a five-year tax exemption on 50% of remuneration for managers and professionals. Individuals regardless of nationality or domicile that have not been resident in Italy for tax purposes (according to art. 2 of the Italian Consolidated Law on Income Tax – TUIR) in at least 9 of the preceding 10 years are eligible for the flat tax scheme. Unlike the tax breaks available to employees and professionals, the Flat Tax scheme does not foresee particular skills or conditions in relation to the period of stay in Italy. - inheritance and gift tax on foreign assets (but not on Italian sourced income or assets or capital gains from “qualifying holdings” realized in the first five fiscal years). The exclusion of capital gains arising from the disposal of qualifying holdings realized in the first five-year period after election is aimed at restricting abuse of the status. The dividends from qualifying holdings will, however, fall within the scope of the flat tax regime. Income from foreign sources may be remitted to Italy without any additional taxation. 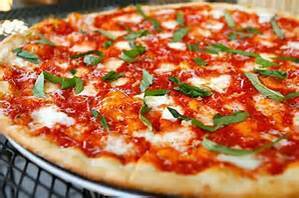 Any Italian sourced income will continue to be taxed on a normal progressive basis. 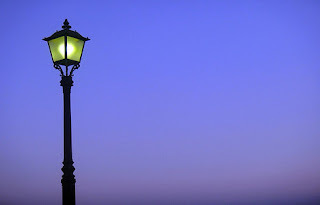 Individuals opting for the regime may extend the Flat tax regime to cover some, or all, family members: in this case, a lump-sum tax of €25,000 is due for each additional person. The definition of family members is particularly broad and is not limited to a spouse or children. Additionally, those intending to opt for this regime should pay attention to relevant international double tax treaties and their provisions on residence, partly because the Italian Revenue Agency may exchange information with countries where the new residents were formerly registered. To apply for the Flat Tax regime the non-resident will need to obtain a specific ruling from the Italian tax authorities for himself and family members (who will be subject to an additional substitute tax of €25,000 per person). 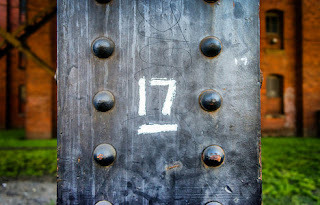 A check-list has been formulated listing the information to be filed with the application. The individual can select the foreign jurisdictions to include in the substitute tax regime (this is the so-called “cherry picking” principle). The Flat tax is in fact an “umbrella tax” that substitutes the normal taxation that would have been applicable on the assets or income produced in the countries included in the ruling request. The income produced in countries that are not included in the ruling application will be subject to ordinary Italian tax rules. This will allow the taxpayer to benefit from a tax credit on taxes levied abroad (conversely this benefit is denied for the income included in the Flat tax regime). The ruling application need not include any specific description of the estate of the individual, unless it is relevant for assessing whether he or she was resident in Italy in a given period. Income is deemed to have originated abroad when (i) the asset generating the income is situated abroad, or (ii) the business generating the income was conducted abroad, or when (iii) the individual remitting the income is resident abroad for fiscal purposes. Once a favourable ruling has been issued all related foreign income will be covered by the Flat Tax regime for a 15 year period. The option is revocable by the taxpayer at any time. The regime will also cease to apply if the €100,000 flat tax is not paid in any one year. - Inheritance duties: The Flat tax regime allows a full exemption from succession duties (inheritance and donation taxes) on all assets located abroad for the 15-year period. As a general rule, inheritance duties apply at a rate ranging from 4 to 8 percent on assets, wherever they are located, received by Italian tax residents as a donation or upon succession. Reporting requirements exemption: Selection of the Flat tax status exempts the individual from all further reporting requirements concerning assets held abroad. 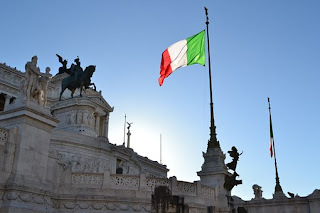 Taxpayers who choose this substitute tax regime are guaranteed full confidentiality vis-à-vis the Italian tax authorities in relation to their non-Italian wealth. To a certain extent, information may automatically flow to the Italian tax authorities pursuant to the Common Reporting Standard (CRS), but taxpayers may keep financial assets in jurisdictions that have not adopted the standard (such as the US). A separate provision provides a series of investment incentives related to entry and residence visas for foreign non-residents proposing to invest in Italy. The current regulatory framework on immigration inflow has been modified, and Article 26bis of the Consolidated Law on Immigration now includes a special “investor visa” status that lasts two years for incoming immigrants who need to stay in Italy longer than three months (renewable, under certain circumstances, for a further three years). A set of procedures has been put in place to verify compliance with these requirements and the source of funds. More detailed guidance is expected to be issued soon. Italy now has one of the most comprehensive and attractive foreign investment and HNWI residency scheme currently available in Europe. It provides the opportunity for individuals and their families to become resident in one of the most beautiful countries in the world where property prices are still very competitive by paying a flat-rate tax on all worldwide income. The National Gallery of London will this spring showcase the Italian Renaissance from March 15 through June 25 with the 'Michelangelo and Sebastiano' exhibition.The creative collaboration and friendship between the two artists, with their complementary but radically different talent, will be on display for the first time. 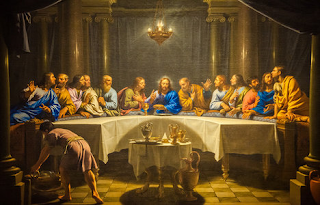 Through about 70 works of art including paintings, sculpture, drawings and letters, the exhibition documents a professional relationship that lasted for over 25 years and does not shy away from times of both exultation and frustration experienced by both Michelangelo and Sebastiano del Piombo. A typical carnival pastry common in various parts of Umbria; delicious and not to be missed! Mix the flour, yeast, oil, lemon rind, sugar, flavourings and liqueurs together. Knead vigorously for a few minutes until the dough is stiff and full of cavities. If necessary, add a little flour or milk. Leave the dough to rest for about an hour. Heat the oil in a large frying pan. Take large dollops of dough and drop them into the boiling oil. 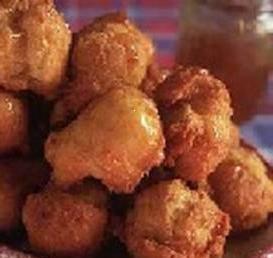 When these are puffy and golden, remove them from the oil and place them on kitchen paper. Sprinkle the strufoli with Alchermes liqueur or melt some honey and drizzle over the strufoli. 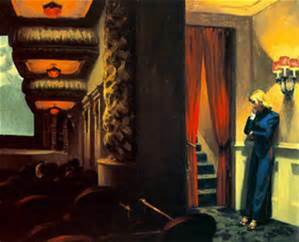 Edward Hopper Exhibition in Rome - still time to see it! The exhibition Edward Hopper, opened on the 1st of October 2016 and is on until the 12th of February 2017 at Complesso del Vittoriano – Ala Brasini in Rome, Under the aegis of Istituto per la storia del Risorgimento, in collaboration with Assessorato alla Crescita culturale – Sovrintendenza Capitolina ai Beni Culturali, organized by Arthemisia Group in collaboration with the Whitney Museum of American Art of New York, covers the whole span of the output of the celebrated American artist. From the Parisian watercolors to the landscapes and cityscapes of the 1950s and 1960s, the exhibition curated by Barbara Haskell – curator of painting and sculpture at the Whitney Museum of American Art – in collaboration with Luca Beatrice, showcases Hopper’s skill as a draftsman through more than 60 works, including celebrated masterpieces such as South Carolina Morning (1955), Second Story Sunlight (1960), New York Interior (1921), Le Bistro or The Wine Shop (1909), Summer Interior (1909), and extremely interesting studies (like the study for Girlie Show, 1941): a path that takes in all the phases of his output and all the techniques employed by an artist who is now considered to be a great master of 20th-century painting. Had enough living in the UK? Getting cancer from burnt toast and over cooked roast potatoes? Want to live in a country where you can park at a hospital car park for free? Want to live in the sun? If your answers to these questions are yes then Italy is the place for you. Why not sell up and buy this historical building in the heart of a medieval town and start your own business. 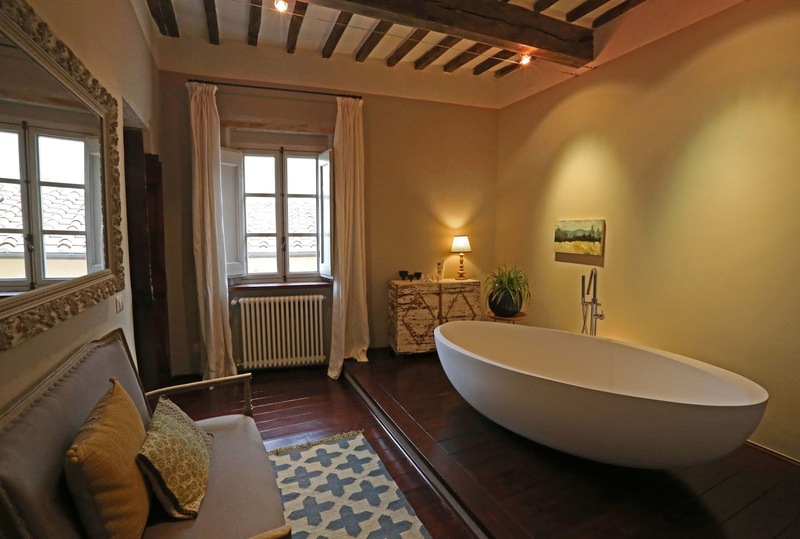 Casa Sansepolcro is the most amazing property, beautifully restored with great attention to detail. Currently the present owner has created a boutique bed and breakfast with four double suits. EU negotiators will offer people in the UK the chance to individually opt-in and remain EU citizens as a proposal in Brexit negotiations, the European Parliament’s chief negotiator has confirmed. The proposal, first revealed in its early stages by The Independent last month, was being considered as a long-term aim by the European Parliament – but has now been fast-tracked to the negotiating table by Guy Verhofstadt, who is in charge of thrashing out a post-Brexit deal. Mr Verhofstadt said the “very important” proposal had “captured the imagination and hopes” of many British people who wished to retain their rights as EU citizens and would be in his negotiating mandate. The plan would see Brits offered individual “associate citizenship”, letting them keep free movement to live and work across the EU, as well as a vote in European Parliament elections. The proposal could potentially give Brits who live and work across borders a workaround to the disruption caused by the Leave vote – and young people looking to flee an increasingly isolated UK greater choice over where to move to. Depending on the approach taken by EU negotiators, the idea would likely be subject to approval by the British government. Mr Verhofstadt is drawing up a report with the European Parliament’s Committee on constitutional affairs about proposed long-term changes to the EU’s structure. The plan was originally proposed by liberal MP Charles Goerens for inclusion in the report, but will now bypass that process and be taken forward independently. It is an important amendment that has captured the imagination and hopes of many of the 48 per cent of Brits that have voted to remain in the EU. In a statement, Mr Goerens said: “Today I decided together with Guy Verhofstadt to withdraw my amendment on Associate EU citizenship. We realised that this has become a very important issue that cannot await treaty change – as was my intention when I first tabled my amendment – since this might take years. “Yesterday evening, the House of Commons decided by a majority of almost 400 to support Theresa Mays plan to trigger article 50 by the end of March 2017. Hence the prospect that this Article 50 will be invoked has become very real indeed. “The European Parliament will define its position on the Brexit agreement through a resolution during spring 2017. This seems to be the best opportunity to give Brexit negotiator Guy Verhofstadt the possibility to enforce the Associate EU Citizenship. Lib Dem MEP Catherine Bearder said: “The option of being able to retain EU citizenship offers a glimmer of hope for the millions of British people devastated by the referendum result. “The fact this proposal is going ahead shows there remains a huge amount of goodwill towards Britain, despite the actions of this Conservative Brexit government. “Everyone who supports this should write to MEPs and tell them how passionately they feel about maintaining their rights as EU citizens, including the ability to live, study and work abroad." In its original form the amendment suggested the provision of “European associate citizenship for those who feel and wish to be part of the European project but are nationals of a former Member State; offers these associate citizens the rights of freedom of movement and to reside on its territory as well as being represented in the Parliament through a vote in the European elections on the European lists”. Though the British Government has been coy on what it wants Britain’s post-Brexit future to look like, it is likely that British citizens will lose the automatic right to live and work in the EU after Brexit. Mr Verhofstadt is one of two chief negotiators representing different pillars of the European Union. He represents the Parliament, while former commissioner Michel Barnier represents the Commission. Belgian diplomat Didier Seeuws will coordinate the European Council’s negotiating position on behalf of the leaders of other EU states. The House of Commons this week approved a motion calling for Ms May to reveal the Government’s negotiating position on Brexit before triggering Article 50. It also locked in the timetable of triggering the treaty clause – and starting negotiations – before the end of March 2017. Sometimes a property comes to the market when we think, WOW, if I had the money, I would buy it. Vista Lago is just that! Not only could it provide a 8% annual return, which is unbelievable, you get two of everything! From posting this Italian property on our website yesterday we have already received two enquires. 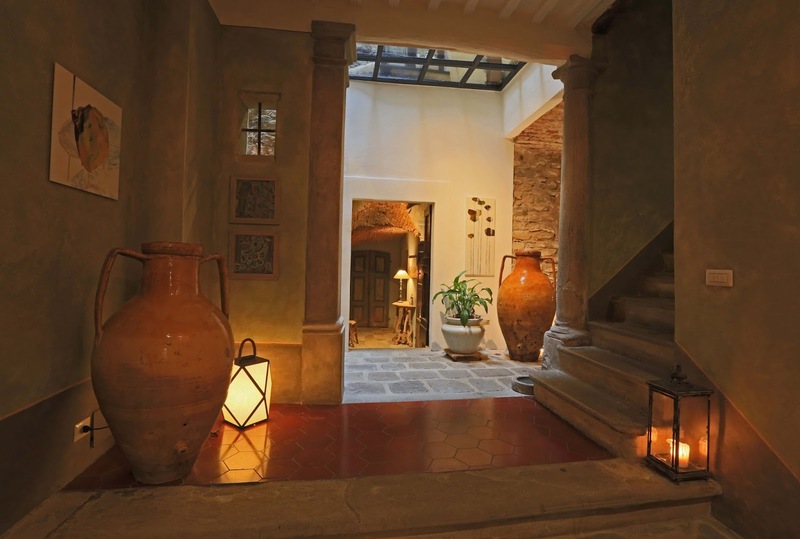 For further information call Victoria Greenwood on 0039075941774 or email victoria.greenwood@abodeitaly.com. The combination of the winter weather and return to work after the holidays can make anyone feeling a bit down in the dumps. That's not to mention the lack of money due to Christmas spending, and a string of already broken New Year's resolutions which might leave you feeling hopeless. Anyone who's spent time any time at all in Italy will likely comment on the friendly, relaxed and hospitable locals. It's a country where simple pleasures are key - something which is thought to be behind the huge numbers of people living past 100. There's a lot to learn from the Mediterranean way of life. 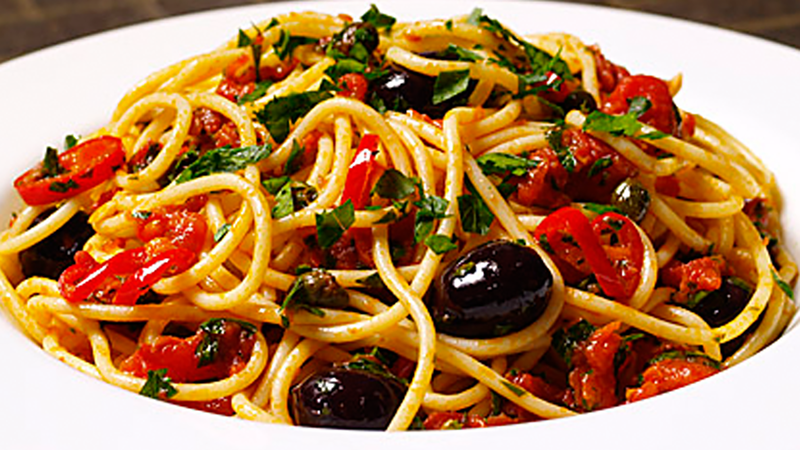 So, here's how to beat the January blues - Italian style. The traditional afternoon stroll taken in Italy before dinner is a big happiness win. To make sure you get the maximum happiness-boost from your stroll – head to the park, whatever the weather. A study in 2010 by the University of Essex showed that even five minutes of light exercise carried out in a natural setting was enough to significantly enhance your mood. 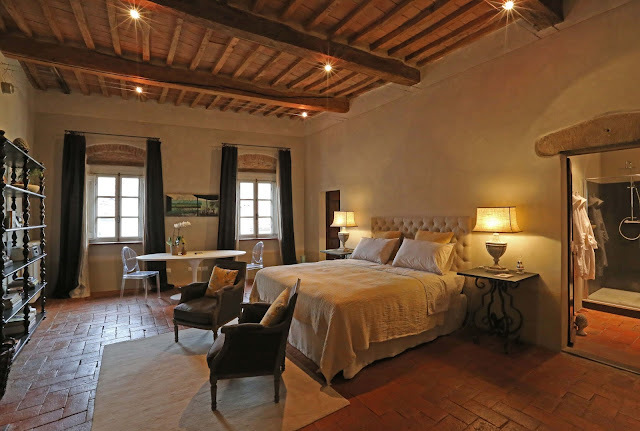 Thinking of a trip to Italy this year? January is the time to do it. Planning holidays gives you a sense of purpose and something to look forward to. In fact, just looking at that sunny picture of an Italian seaside town is probably making you feel better. Picture yourself relaxing on the beach, reading a good book and sipping on even better wine. It might sound daft, but researchers from Holland who studied the effect of holidays on reported levels of happiness showed that people reported a greater improvement in their happiness levels when they were preparing their trip than while they were actually basking in the sun. 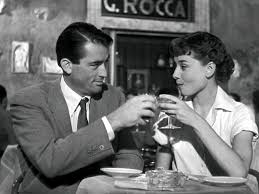 The aperitivo: one of Italy's traditions is one that has been helping Italians beat the blues for over a hundred years. Bars across the country fill up between 6.30 and 8pm as friends head out for something to drink and a nibble. Numerous studies have shown that the key component of happiness is strong social relationships, while enjoying alcohol and snacks in moderation means you won't feel any guilt for over-indulging. Italy has a lot of art, a lot of history and a huge number of cultural sites, including a whopping 51 Unesco world heritage sites. Museums and art galleries help stop you dwelling on your own problems and provide you with new experiences, new points of view and fresh inspiration – all of which will make you happier. Money can't buy you happiness – but for a few euros you can get an excellent pizza. There is a definite connection between food and happiness, and with its hot, crispy base and melted cheese topping, pizza is an indulgent, calorific treat that is the perfect comfort food. Still sticking to your new year's diet and don't want to eat a pizza? 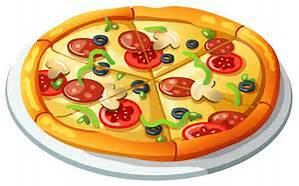 Then, why not try drawing one...a study in 2013 showed that the idea of pizza and happiness were so closely connected that even the act of sketching a pizza led people to feel better about life. 2016 was a tough year both in Italy and around the world but here are few stories to remind us that it wasn't all bad. 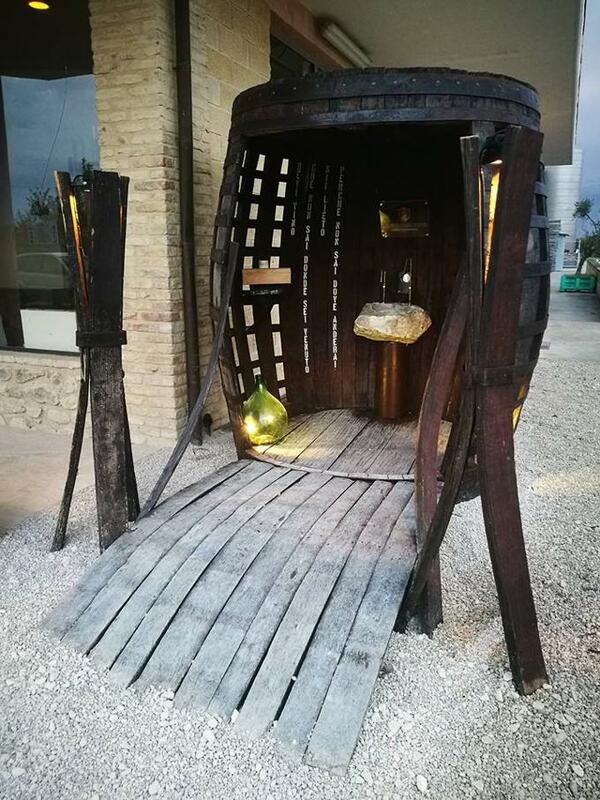 Italy opened its first wine fountain in October. Free wine 24/7! Ever felt the need for a nice glass of red wine after a long walk? A free glass of red wine at that! The 'Fontana del Vino' is located in Caldari di Ortona (Abruzzo) along a popular pilgrimage route, the Cammino di San Tommaso. The fountain is not the first in Italy to offer wine but it is different from the others as wine will be accessible every day. 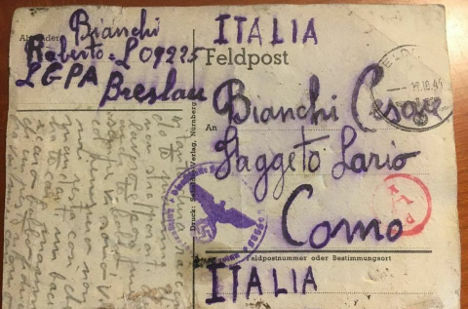 A postcard sent by an Italian prisoner of war from a Nazi labour camp in 1944 was finally delivered, following a series of strange coincidences which led to a high school teacher stumbling across the card on the street. People worldwide are learning Italian. Italian leapt to fourth place in terms of the most-studied languages worldwide. The number of foreigners studying rose to 2,233,373 in the 2015/16 academic year - up from 1,700,000 the previous year. 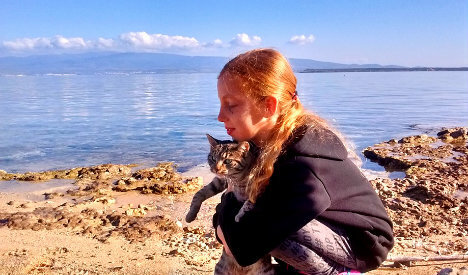 A cat sanctuary beach exists. The remote Sardinian beach, where visitors can play with kitties in the surf or watch them lounging on the sand, was even named one of the island's best tourist destinations by travel website, TripAdvisor. The non-profit sanctuary was founded in 2011. Saved puppy to train as rescue dog. A puppy who was saved from the rubble in earthquake-hit Norcia will soon be able to assist the firefighters that saved him, after being adopted by the fire service. 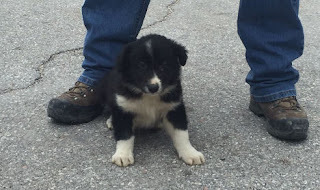 Rescue workers freed the border collie after days trapped in ruins in Norcia, one of the worst-hit towns by the October 29th tremor. Pasta won't make you gain weight? The world's oldest female celebrates her 117th birthday. Emma Morano, from Verbania in northern Italy, celebrates her 117th birthday in November, making her the last known person alive who was born in the 19th century. 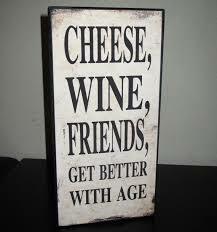 Cheese, wine and friends are the key to long life. But you might have to move to Sardinia and adopt the local diet, which includes Cannonau, a red wine packed with antioxidant compounds which help slow the aging process, in order to be in with a chance of eclipsing 100. 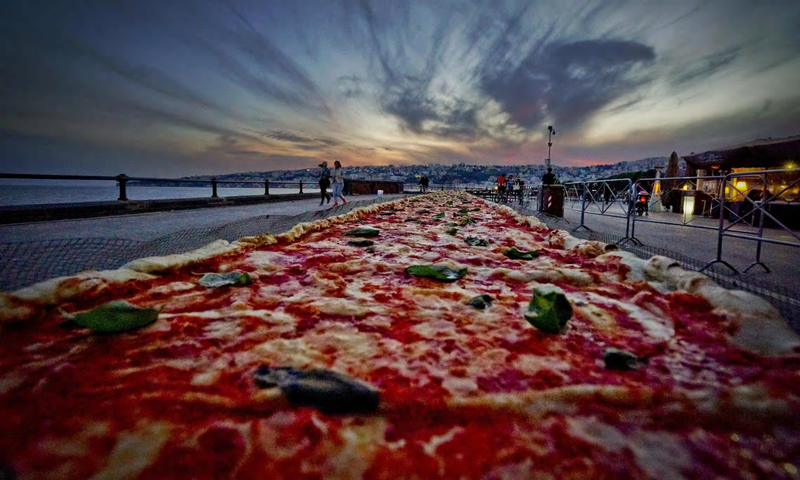 Italy made the world's longest pizza. The world’s longest pizza was made in Naples and is 1.8km long. It took 250 pizza makers six hours and 11 minutes. They used 2,000kg of flour, 1,600kg of tomato sauce, 2,000kg of mozzarella cheese, 200 litres of oil and 30kg of basil. The pizza made it into the Guinness World Records, and was donated to the needy. The Molinette hospital in Turin achieved a world first by successfully transplanting a kidney in the place of the spleen in a six-year-old girl. The child had been on dialysis since birth because of a rare kidney anomaly and a malformation of the abdominal blood vessels.